Ningret 22′ Eco friendly motor boat. Roeboats have just been commissioned to build a Ninigret 22′ motor boat designed by John Atkin. I am really looking forward to building this great looking boat. John Atkin really knew his stuff; I’ve been going through the plans and and there is nothing on this boat that that is superfluous; yet it still boasts a large cockpit, two berths and a sea toilet (head). Primarily what attracted me and my client to this boat were its good looks; but it has many other great features. One of these was the fact that the motor is housed in a covered well thus reducing noise and protecting the cockpit from following seas. This entry was posted in Ballydehob, Boat Building, boating, For sale, Ireland, Motorboat, Ninigret, Powerboat, Skibbereen, West Cork and tagged Ballydehob, boatbuilding, boating, Dayboat, eco-friendly, For sale, green, Ireland, Ninigret, Powerboat, West Cork. Bookmark the permalink. 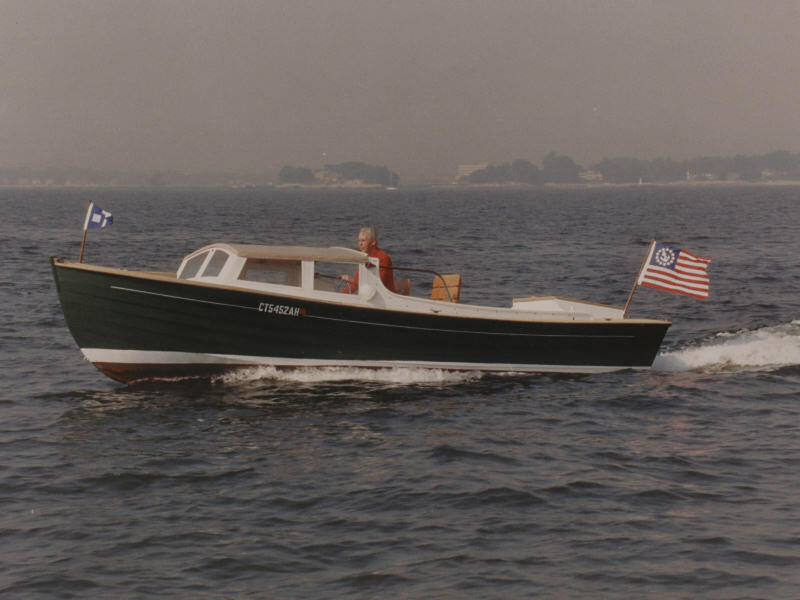 Pingback: intheboatshed.net» Why use wood to build boats?